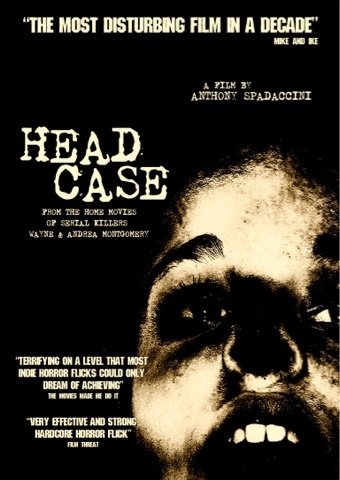 Head Case by Anthony Spadaccini,a film that many thought was actually real,with the director having to prove the stars in this were actually very much alive. 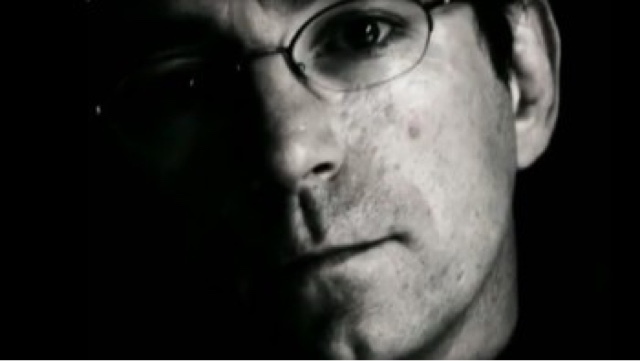 Starring Paul McCloskey as Wayne Montogomery,and Barbara Lessin as Andrea Montgomery,a married couple who take equally great pleasure in death,with Andrea Montgomery who films all her husbands kills,whilst she is the also the one who poisons her house guests,and takes great pride in this,and will not let her husband be involved in this part. Wayne is truly the cold calculated psycopath,who actually truly likes dismembering bodies,using knives, saws,and even cheese graters to grate the flesh of his victims. 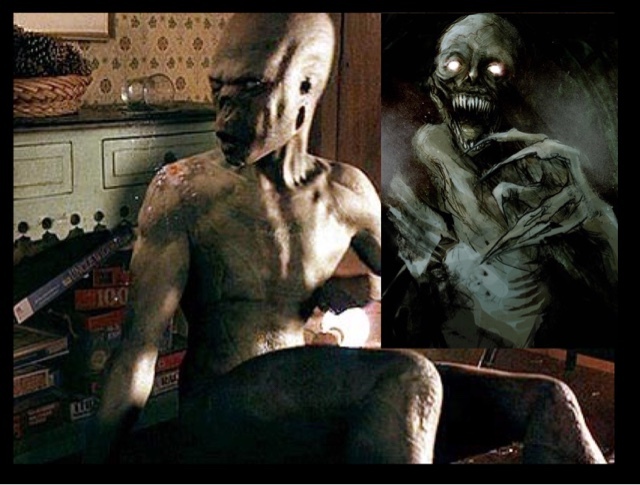 This couple also have two teenage children,and actually manage to keep all this depravity of death in their house,away from them,untill one day the daughter walks in on her dad dismembering two bodies,in the basement,we hear off camera the dad,daughter and mother arguing,with the daughter saying "she won't say nothing" whilst her mother is screaming at her "to listen and obey your father" all this happens whilst the dad strangles his daughter to death. We do not see any of this,but is all heard off camera. We even have later on the son pleading with his dad and saying why are they not doing more to look for his sister,with his dad saying "the police are doing their jobs, and to leave it with them". This film is absolutely horrible,one of the most disturbing films I have seen,the reason why is the Mongomery's are normal people on the outside,but within the walls of their house they are true psychopaths,Paul MaCloskey is terrifying in this,cold,distant,a true socialpath,and is the reason why people have believed this film to be real,because nobody could act that scary or cold could they? Well Paul does. Although we see very little of any killing,we see the extremely horrible close ups of saws going through flesh,the sound effects are sickening,and yes this film will make you want to be sick,especially the cheese grating segment,with Wayne even saying to his wife"they aren't feeling a thing". This film I found surprisingly on YouTube in 11 parts,and was recommended by Blumhouse.com as one of ten found footage films,that are unknown to most people,and in all fairness I wished it had stayed that way as this film is horrible,and it cannot be unseen,just like some horrible videos on live leak. 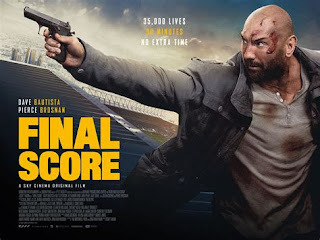 I thought Martyrs was vile,and even Man Bites Dog,but this film is easiest the most horrible film I have ever seen,but so well acted and filmed you actually are convinced it is real,a truly disturbing piece of independent film making,that is absolutely shocking.